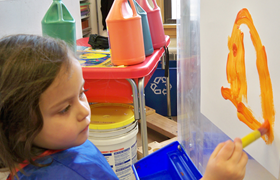 Des Moines’ only fine arts focused preschool and child care center – located in the historic downtown First United Methodist Church. 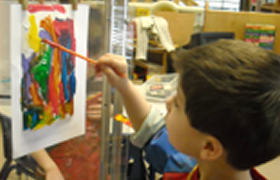 We’ll introduce your child to artists – including visual artists, poets, musicians, and dancers – at an age appropriate level, allowing him/her to experience and experiment with a variety of art genres. At CCYC, we don’t just want to meet state and national best practice standards, we want to exceed them – that’s why we staff an additional teacher in each classroom to maximize one-on-one interactions with your child. 1001 Pleasant Street | Des Moines, IA 50309 | 515-280-3032 | Monday - Friday, 6:30 a.m. - 6:00 p.m.